Chennai, June 4 (IANS) The Parliamentary Standing Committee on Finance will be awarded the Sansad Ratna Award 2018 for its outstanding performance, a top official said on Monday. "We have decided to honour Departmentally Related Standing Committees with Sansad Ratna Award based on the criteria like the reports presented, numbers of sittings and number of subjects selected and others," K. Srinivasan, Founder, Prime Point Foundation, told IANS. The Foundation has been awarding top performing MPs since 2010. "In the Indian Parliamentary system, the Standing Committees plays an important role in studying the subjects and guiding the government. Since, we wanted to create awareness about Standing Committees, we have introduced the Award under this category," Srinivasan added. The selection of award winners was done by a Jury Committee consisting of eminent parliamentarians. "M. Veerappa Moily, Chairman of the Parliamentary Standing Committee on Finance will receive the award at a function to be held in Indian Institute of Technology-Madras on Saturday," Srinivasan said. Former West Bengal Governor M. K. Narayanan and former Chief Election Commissioner of India T. S. Krishnamurthy will present the awards. 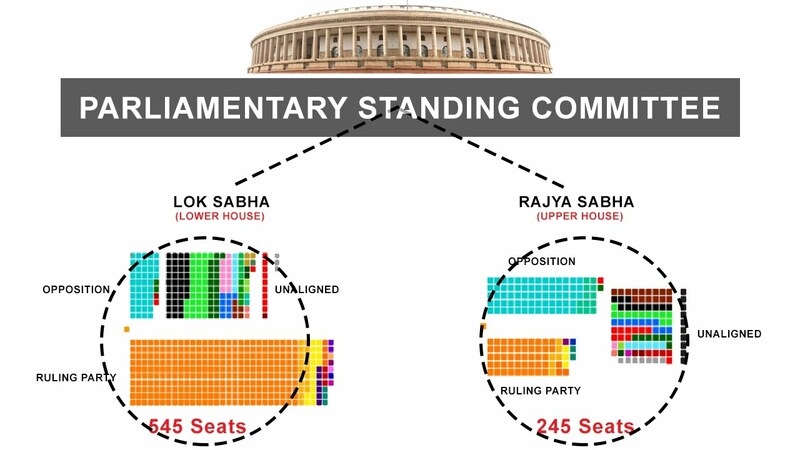 According to Srinivasan, during the 16th Lok Sabha till date, the Parliamentary Standing Committee on Finance had selected 67 subjects, held 84 sittings and presented 60 reports as per the data culled from the Lok Sabha website. There are 24 Departmentally Related Standing Committees in Parliament. Sixteen are known as Lok Sabha Committees and eight as Rajya Sabha Committees. "We could get data only for 16 Lok Sabha Committees. We could not get data for the Rajya Sabha Committees," Srinivasan said. In addition, seven MPs (six from Lok Sabha and one from Rajya Sabha) will also be honoured with the Sansad Ratna Award for their individual performances. He said the names of the seven MPs will be announced on Friday. This is the only award on behalf of the civil society to honour achievers in Parliament, Srinivasan added.